As we approached the South Pole I could see in the distance the red Norwegian flag fluttering in the huge, snowy blizzard. All my emotions had suddenly disappeared, I couldn’t say anything as there was nothing to say! My mind went blank. As I was staring at the flag, I could taste the bitter cold snow, falling in my dry mouth. I could hear the howling wind roaring in my overwhelmed ears. So we all hesitated for an hour or so. Our disappointment kept rising. I could feel the frostbite biting into me like a shark but I didn’t really care. There was nothing to live for, all my dreams are crushed. It was time to go back to the ship, all the snow kept smashing into my face. Tears keep going in my eyes. I keep looking at the weather and I am not getting good results. I don’t think we have much chance of getting back to the ship alive. I pray with all my heart that we survive this dreadful journey. This is a really powerful piece of writing Lauren, full of emotion. Have you enjoyed learning about the Captain Scott story? I really have enjoyed learning about Captain Scott its a very interesting story! wow Lauren that was one of the best Antarctic diary I heard. Was it hard too write?? ?I think the piece of writing should have more punctuation! Next time I will put in more punctuation! A very good piece of writing, a great description of your senses. Maybe try using different bits of punctuation?(ellipsis). Maybe use speech next time. Hi Lauren good to see all five senses and great piece of work. Maybe less adjectives. 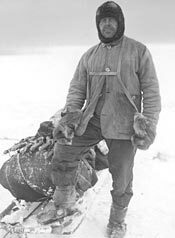 Do you think Amundsen was fair to Scott? I don’t think he was fair to Scott and next time I will put in less adjectives. I like it when you used emotion in your writing. Do you think that you use to much punctuation? Add more adjectives. This is such a well written piece of work and flows beautifully. Very descriptive can almost feel the biting wind as I read it. Well done. Do not think advertising items are suitable for this agegroup.Wonder why anyone blogs at all? Sorry, it should have been set to have no adverts on at all! I have adjusted the settings. Thanks for pointing it out. Very, Very, GOOD work Lauren. Me personally I don’t think it needs improving. Did you enjoy learning about it?